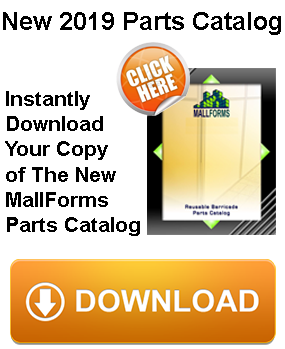 Whether you need construction temporary walls, mall barricades or construction enclosures, MallForms has you covered. Why is our email box continuously flooded with messages like this? He didn’t want to rely on third parties and wanted to do it for himself. He also needed it to be affordable and easy to set up. Needless to say we OVER-delivered what he and many others needed. 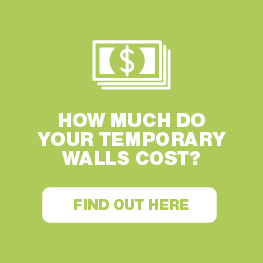 Not only are our temporary walls affordable …they SAVE you thousands of dollars in about after TWO uses. 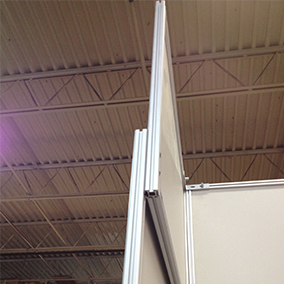 You can simply set them up by yourself THREE times as fast as traditional drywall (see our MallForms temporary walls first time panel assembly in about 2 minutes here) After this, the panels are kept assembled for moving around in set-up and for storage. Get exactly what you need by contacting us. 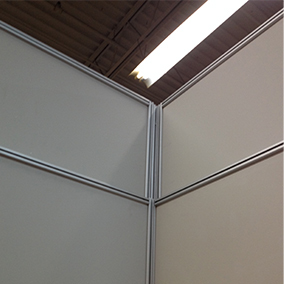 What can these top-notch temporary walls be used for? 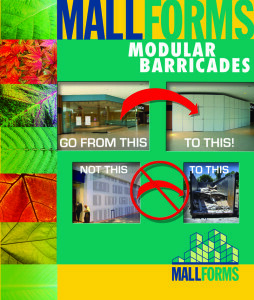 Use the MallForms reusable barricade system for shopping centers, airports, construction projects requiring construction temporary walls, and other public spaces (about anywhere you can think of). 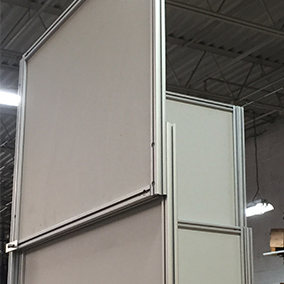 If you manage multiple shopping centers or one mall, commercial buildings or construction projects – the mall barricades and temporary walls can be deployed in a matter of hours without awkward and costly construction. 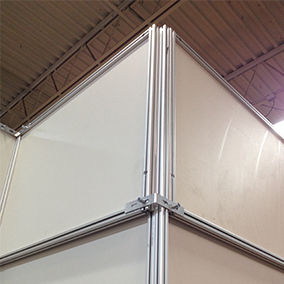 The temporary construction walls and reusable barricade system and retail merchandising systems set up and breakdown with proven trade-show technology. 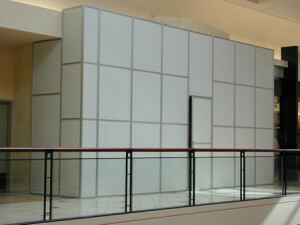 MallForms mall barricades work to generate shopper traffic and fit precisely with retail locations, atrium layouts and configurations for public spaces. 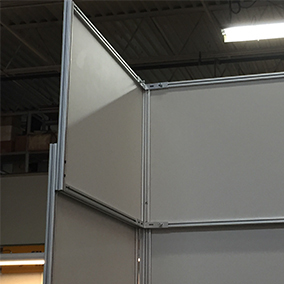 Our mall barricades, temporary walls and partitions are 100% reusable and are ideal for shopping center renovations, retail tenant renovations, vacancies, commercial construction projects, commercial renovations, and much more. 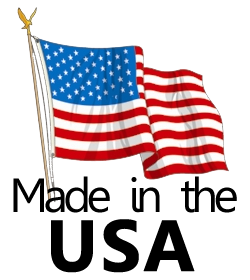 Launch a new product, greet customers and promote specialty items efficiently. 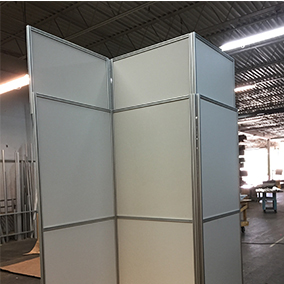 Let MallForms construction enclosures seamlessly fit into your next big event with a full line of barricades and specialty retail designs. 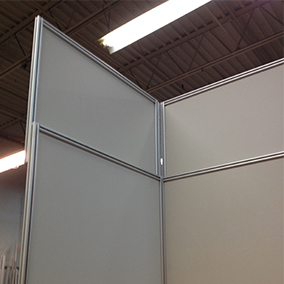 Our mall barricade system, temporary walls and partition system is one of a kind. 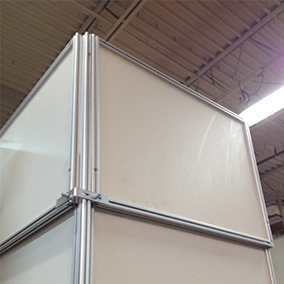 Completely modular, expandable, adaptable and recyclable. 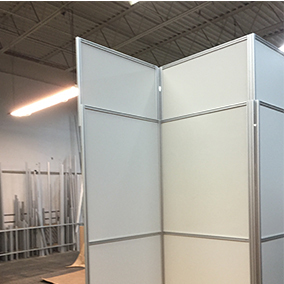 Whether you are looking for kiosks, retail merchandising units (RMUs), showcases, temporary in-line stores, showrooms, or exhibits, demising walls we have the solution. The MallForms retail merchandising systems provide you with the flexibility to present products, services and environments in a cost effective manner. 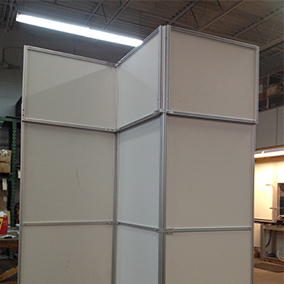 No matter where you want to use our one-of-a-kind construction temporary walls, mall barricades, or any construction enclosure we can help you. And make it a quick, easy, and profitable process. 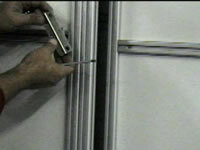 Send us a message what you are looking for and we will get back to your with a free quote estimate right away. 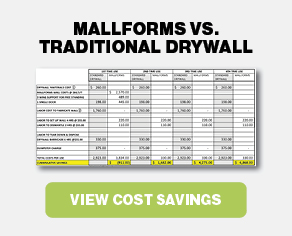 See how MallForms can save your construction project time and money by using the MallForms barricade system. 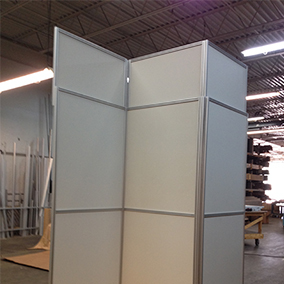 Let MallForms be your source for temporary construction barricades and keep your mall looking clean and professional.